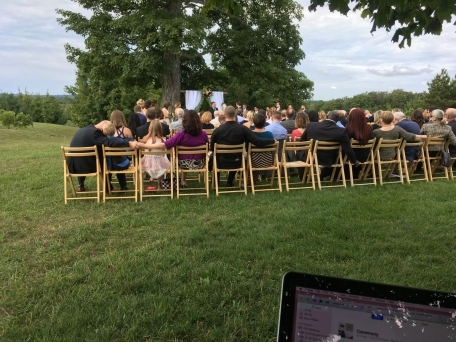 Wedding Ceremonies : Pluister Entertainment, Inc.
We specialize in setting up sound systems and microphones that blend in with the surroundings and provide excellent sound for your guests. From vineyards to beaches, we ensure that your guests can hear your Wedding Ceremony. Please contact us today for a quote on Wedding Ceremony Sound and Music Services. 231 348 8185.